Molson. Tim Hortons. These brands are synonymous with quality, and for good reason. Anyone who’s had a donut at a Tim Hortons or slugged down a Molson with friends has some familiarity with these beloved Canadian institutions. When you walk into a Tim Hortons you expect a good experience, and the same applies to the 2016 Toyota Prius. The latest model maintains the brand’s superior fuel economy that has made it famous the world over, and combines that with a newly-sculpted exterior that is as expressive as an opera singer. The 2016 Toyota Prius’ outer body is longer and sleeker, so you’ll feel like a leopard as you navigate the road. Let’s take a closer look at the 2016 Toyota Prius and its impact on Brampton ON drivers. The 2016 Toyota Prius is a supremely fuel-efficient sedan. As of this writing (September 2015) the car is not quite on dealership lots, but it is about 10 percent more fuel efficient than the 2015 model. Which means the 2016 Prius will use up only 4.2 litres of fuel per 100 kilometers traveled in the city and 4.4 litres per 100 km on the highway. Plus, the Prius is more spacious than ever, with an additional 61 mm (2.4 inches) in length and 15 mm in width (0.6 inches). It also handles better than previous incarnations, as it’s built 20 mm (0.8 inches) closer to the ground, to give it a lower center of gravity. Its double-wishbone suspension and solid body construction will help you take curves like a Formula One driver. More than just a fuel-saving compact sedan, the 2016 Toyota Prius is a more comfortable and enjoyable ride, with its larger size and improved suspension. All that and more adds up to the car that also won the 2015 IIHS Top Safety Pick Plus and was a 2015 KBB.com Best Buy finalist. So when you pack your friends into the 2016 Toyota Prius to show off your new ride, do some parking lot donuts in celebration. 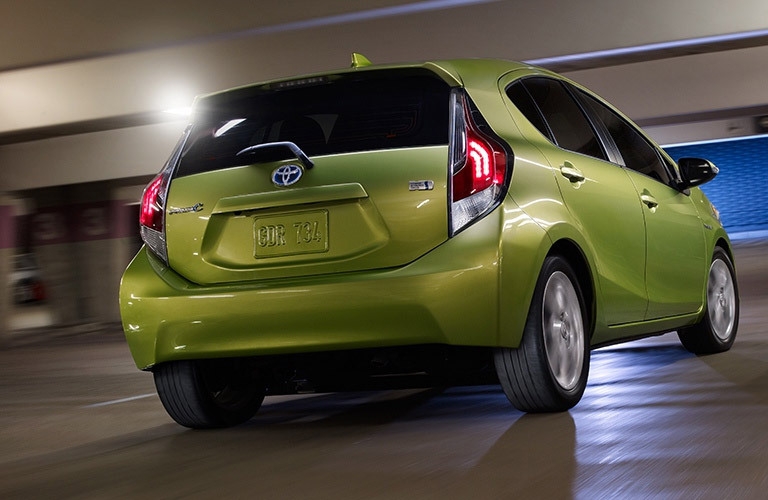 The Prius handles so well, they’ll hardly notice you’re performing all those celebratory rotations.